Manufacturer of a wide range of products which include bulker unloading system and bag and bulker unloading system. Backed by the sound experience of this industry, we have been able to offer an unmatchable assortment of Cement Unloading System. The twin tube, high volume-low pressure blower makes it easy to unload the bulk carrier within an hour. 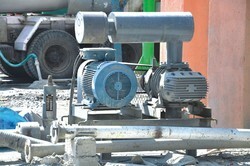 This reduces the dependability on the availability of compressor mounted bulker. Moreover, our range is available in different sizes and specifications as per the needs of our clients. Bag and Bulker Unloading System offered finds use as positive displacement pump and comprise multiple screw support for moving fluids/solids along defined screw axis. The pump involves rotation of the single screw in the cylindrical cavity that allows movement of material along spindle section of the screw. Some of the areas these pumps find use in include for irrigation purposes & agricultural machinery involving transportation of grains, transporting viscous fluids, for fuel-injection, for lubrication purposes and others. Some of its features include eliminating foaming possibilities, allows pumping of higher viscosity fluids, consistent flow rate and others. 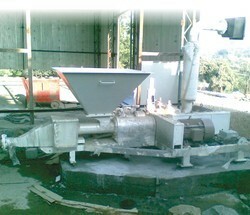 Looking for Bulker Cement Unloading System ?